Martha and Marley Spoon was created by Martha Stewart to help busy families create delicious and nutritious homemade meals with ease. 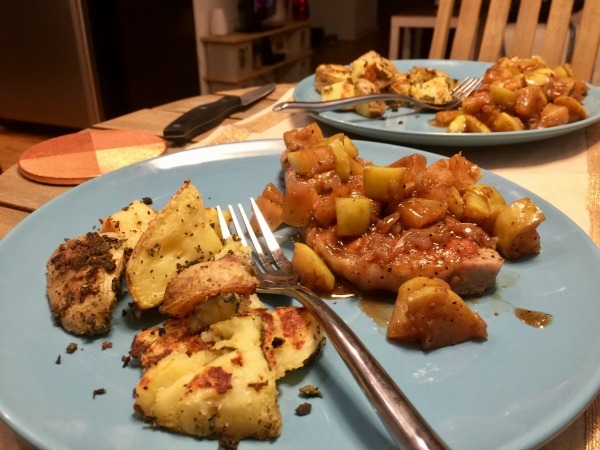 Most of their recipes are family-friendly and they offer 10 different meals to choose from each week. Most of their ingredients are sustainably raised, from small local farms, some ingredients are organic, and they use high quality proteins like grass-fed beef, American caught seafood, and Berkshire pork. They have weekly meals for carnivores, vegetarians, and even have some gluten-free options as well. 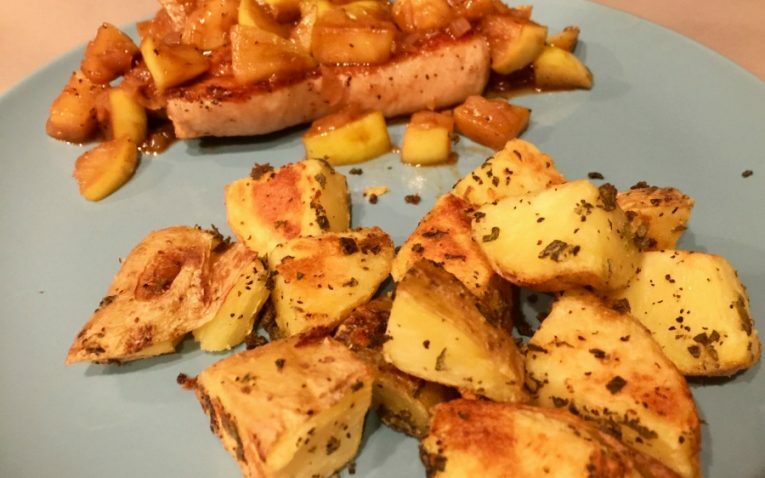 Great family oriented meals that are kid friendly but add a unique twist. Who Would Most Enjoy Martha and Marley Spoon? 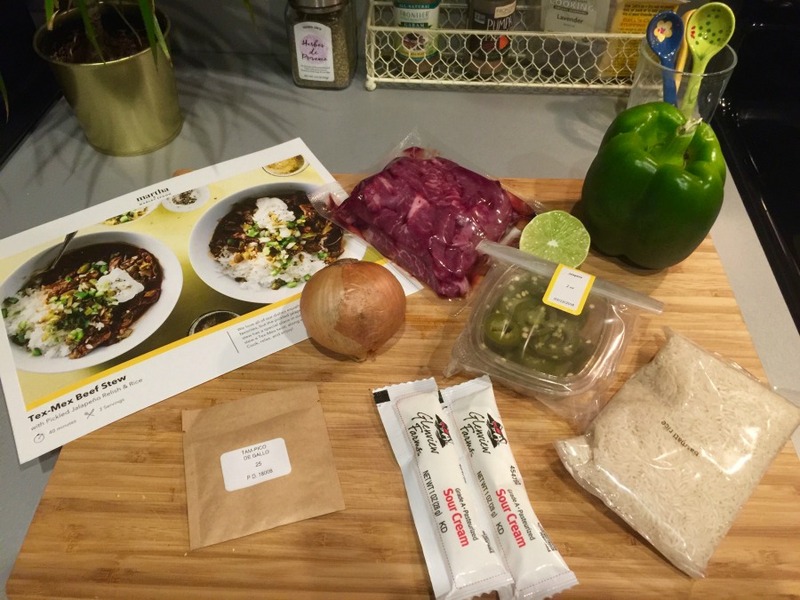 Most of their meals available each week include meat and there are no vegan options or special diet options like paleo, Whole30, etc., so if you are looking for a lot of specialty diet options, this may not be the best meal kit delivery service for you. However, they do have a few gluten and dairy-free meal options per week if you or anyone in your family has those food sensitivities. There is plenty of flexibility with Martha & Marley Spoon. 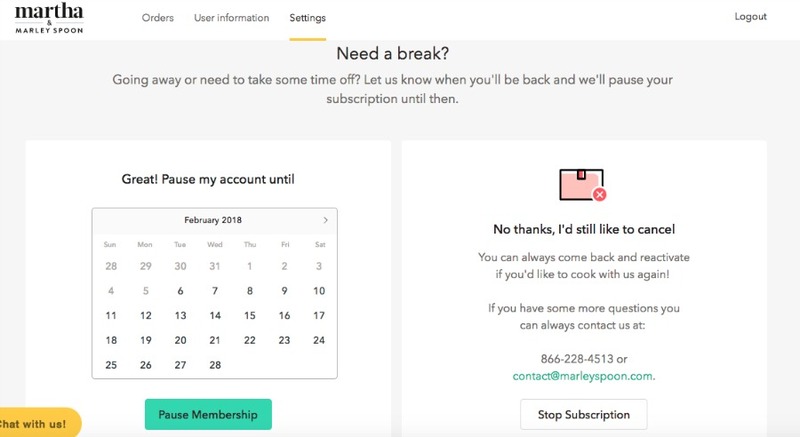 You can choose to skip as many weeks and you want and you can cancel your subscription at anytime you want. There are never any contracts or obligations to receive meals every week. You can pick your preferred delivery day so you can get your box when you want, like a day off of work or a day you get home early from work or school. There really are no negatives about Martha & Marley Spoon’s flexibility. There are no obligations, contracts, and they make canceling the subscription as easy as a click of a button on your profile – no questions asked. The food variety is quite decent and caters to a variety of different tastes. Most of their recipes are very family-friendly, so they use rather simple and basic ingredients that kids will generally like. However, there is usually some kind of “spin” on their recipes that make them unique and allow you to experience slightly different flavor profiles you normally wouldn’t think to do. Golden raisins and special spice blend added to meat. 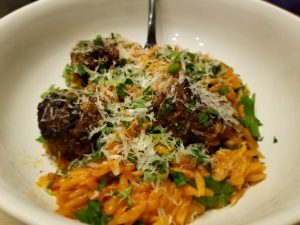 For example, their meatball and orzo stew is a classic tomato-based pasta dish, but they have you add chopped golden raisins to the meatballs and a special spice blend that makes it a fun and unique recipe. You can also choose to experience flavors from all over the world with German chicken Schnitzel and red cabbage, Peruvian stir-fry, or a classic beef stew with a Mexican spin. However, you can also count of classic flavors like french onion soup grilled cheese, pasta with Italian sausage, and spicy honey shrimp. The meal combinations are just different enough to keep things in your kitchen exciting, but classic enough so the pickier eaters are still happy with their meal. You can look at the tags under the recipes so you can filter through which options you want for the week. Tag examples are: kid-friendly, one-pot meal, 30-min meal, vegetarian, vegan, low-calorie, healthy, poultry, spicy, dairy-free, gluten-free, etc. 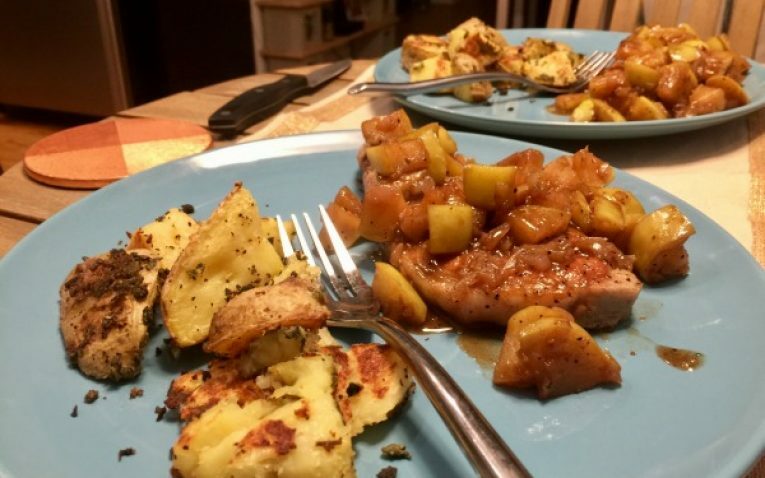 If you are really looking for unique recipes and flavor combinations, experimenting with vegan food, or really challenging your ability to cook with flavor profiles, there are meal kit services that would be better suited for those desires. 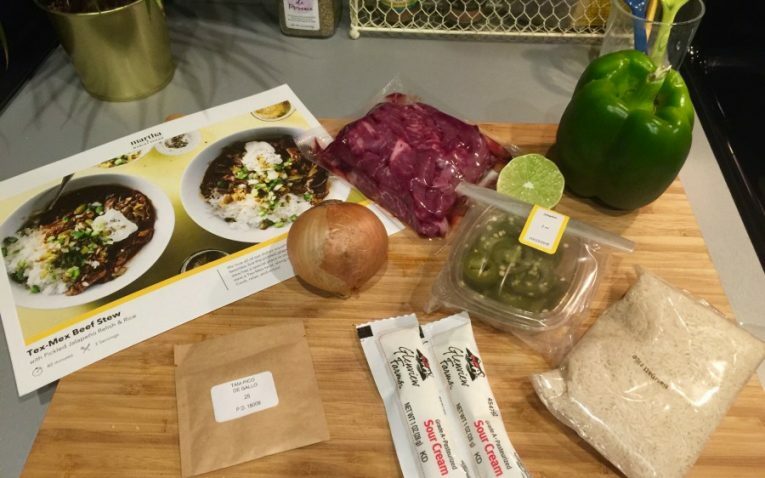 There is not a lot of truly exotic cuisine with this meal kit. Although they may have some vegan options, they don’t have a specific vegan meal plan you can choose from. From what I have seen, they only have 1 vegan meal option per week, which is not much and would not be a suitable meal kit for someone who is vegan or wants maily vegan meals throughout the week to experiment with. 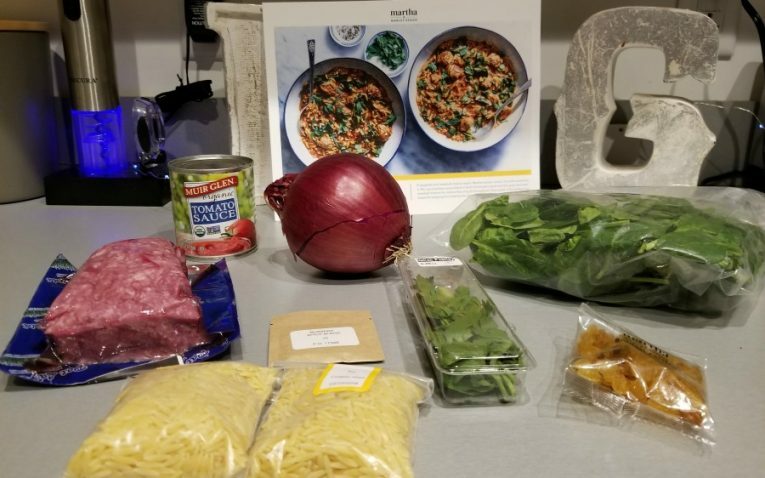 The quality of the ingredients included in the box are decent compared to some other meal kit services. 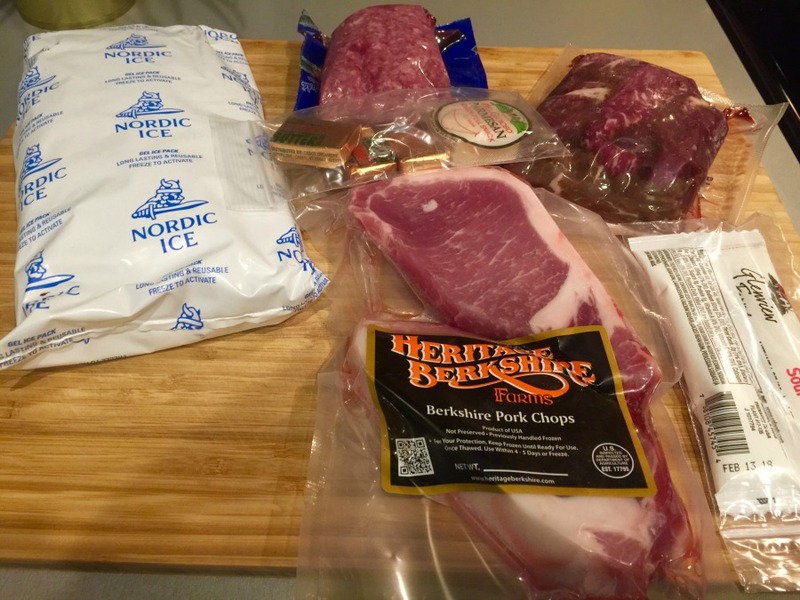 They use grass-fed beef, Berkshire pork, and American caught seafood when possible. They use fruits and veggies grown on small and local farms, have some organic ingredients in their boxes, and use sustainably raised meats and produce whenever possible. Their ingredients are sourced from places like Pat LaFrieda which is a meat supplier that never uses growth hormones or antibiotics, certified organic farms for fruits and veggies from upstate NY, Sparrow Lane artisan vinegars, and more. They lay out the nutritional value for each meal you receive on their recipe cards. You can see the amount of calories, protein, and carbs in each meal. I personally am committed quite strictly to an organic and non-GMO lifestyle, so I would have really liked to see more organic and non-GMO sourced ingredients, especially high-risk ingredients for a lot of pesticide residue like apples and potatoes, which were not organic in my box. I do have to say that most of their recipes are high calorie, which is not ideal. 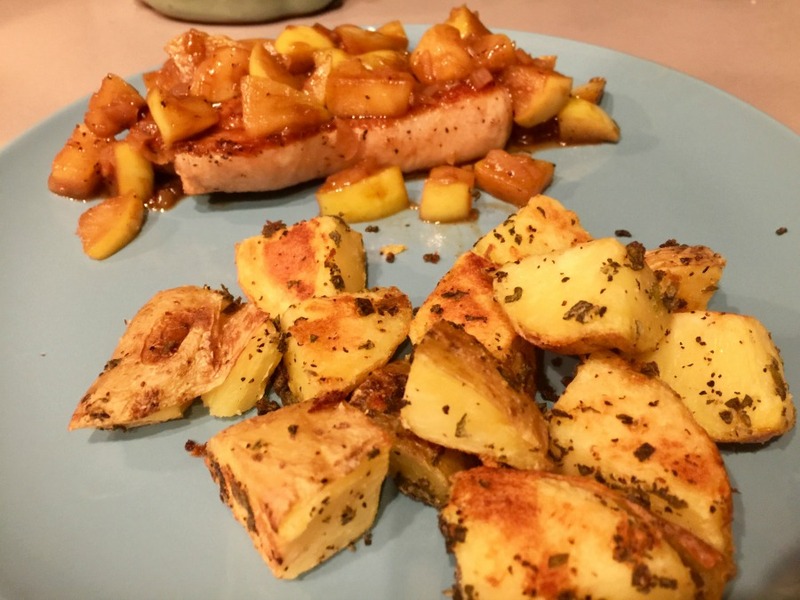 To reduce the amount of fat calories in the meals I chose, I was able to substantially reduce the amount of oil and butter I used in each recipe that they recommend, which was able to lower the calorie count quite a lot. So you are able to customize and alter the calorie count a bit. Even their low-calorie meals have at least 500 calories per serving. 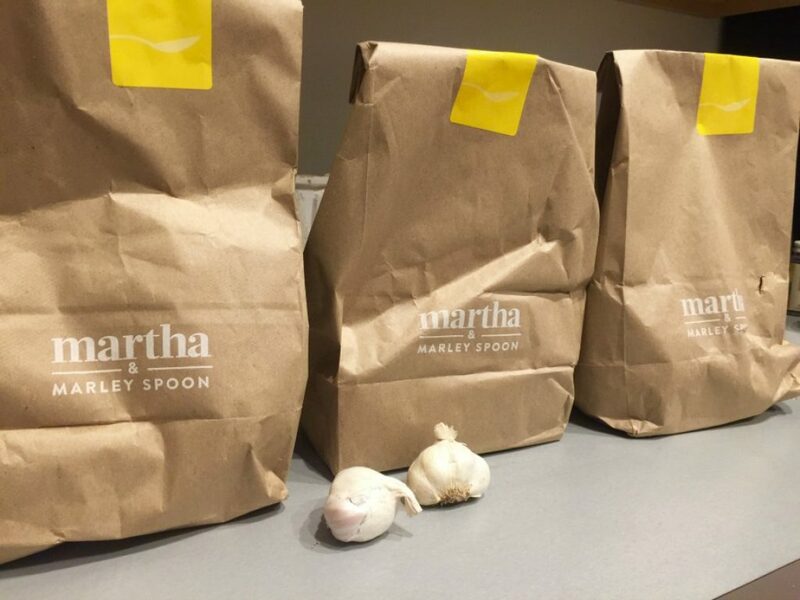 As far as pricing goes, Martha & Marley spoon is a bit more reasonable than some other meal kit services. 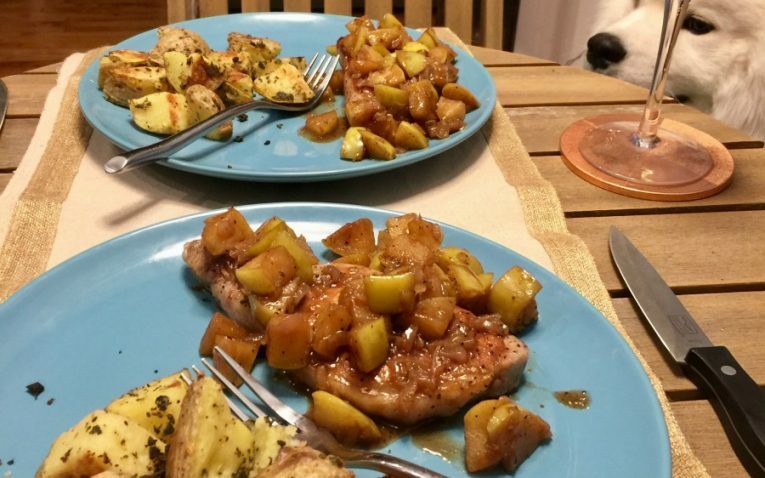 You pay for every week you want your meal kit as you go and there is no monthly pricing plan. For two people you can get 2 meals per week for $48 (3-4 people is $76), 3 meals per week it is $61 (3-4 people is $106.80), and 4 meals per week is $76(3-4 people is $131.20). This is fairly less expensive than some of the other competitors on the market. They do not list the price per meal on their website, you have to calculate on your own. Shipping is always free, which can save you quite a bit of money every week. With our link, you can recieve $10 off your first box, which is even more great savings! The only negative about their pricing is they don’t lay out the price per meal, which is a popular thing to do with other meal kits. 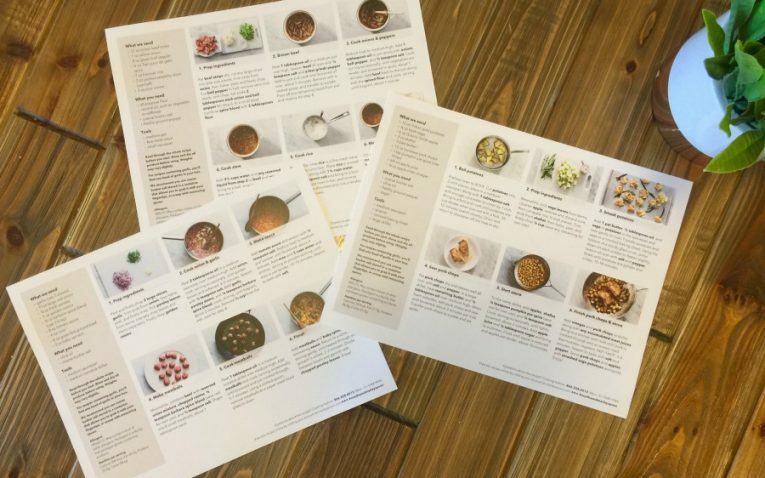 The recipes are laid out step-by-step on large sturdy recipe cards. There is a large picture on the front so you can see what your meal is supposed to look like and you can plate it to look nice, if you so choose. It will tell you how long it takes to makes. Although most recipes say 40 minutes, I did find they generally took closer to an hour or so. On the back, it will tell you what your ingredients were sent to you, what you need from your own kitchen, and any recommendations they have for a specific recipe. There are step-by-step numbered picture instructions that have detailed information about what you need to do for each step. Ingredients are bolded so it is easy to see what ingredients you need for each step. 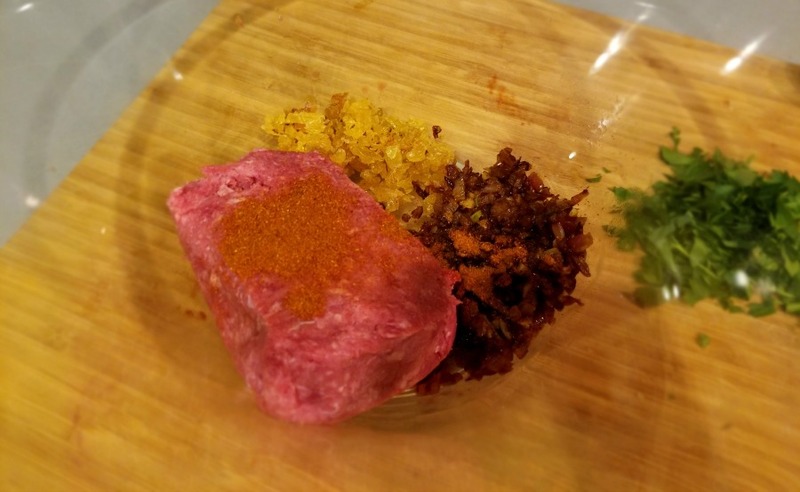 They lay out the exact ingredients you need and how much of each ingredient you will be using, so there is no guesswork in that area.They even tell you how much to salt your food so you get the seasonings just right. The recipes say they take 40 minutes, but I found they took a bit longer than that. I found they took about 10-20 minutes longer than the card says they take. Your meal kit will come in a refrigerated box that will stay chilled for some time if it has to sit out for a little bit – they state the boxes should stay cold for up to 30 hours. 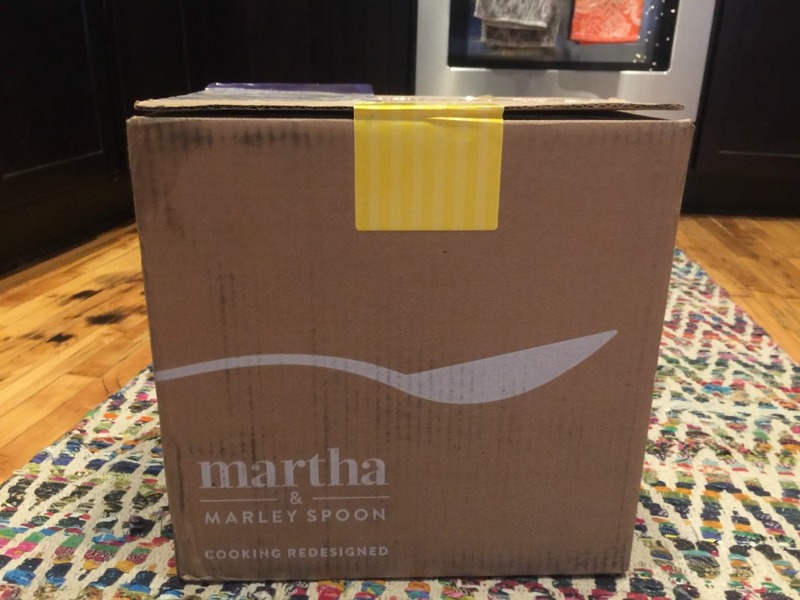 The box is marked with their name and logo so you know that your Martha & Marley Spoon kit has arrived. 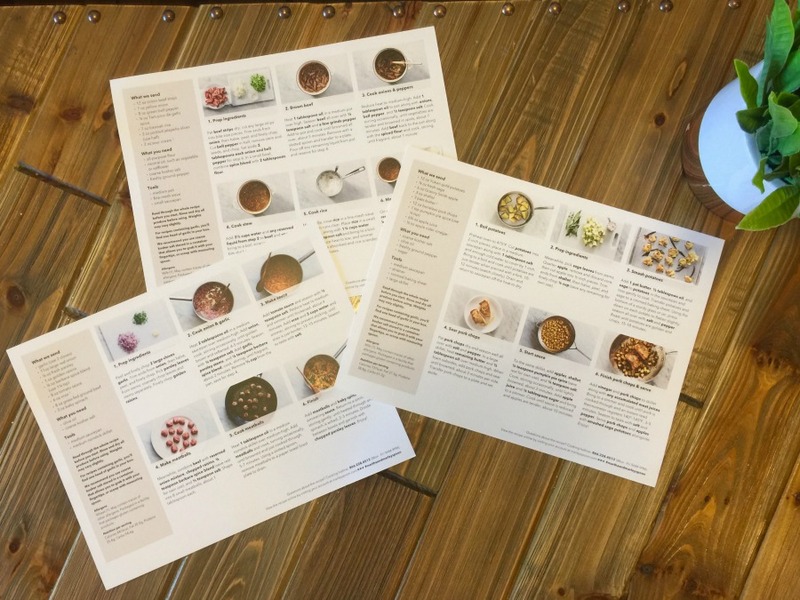 When you open the box you have your recipe cards, a little booklet of information about where ingredients are sourced from, a little bit about the company, what you need in your pantry, and a Get Started Guide. You also get a handwritten thank you card from the Martha & Marley Team. The ingredients for each meal are separated in large brown paper bags that are closed with a sticker that has the recipe name on it so you can keep all your ingredients together in one place. 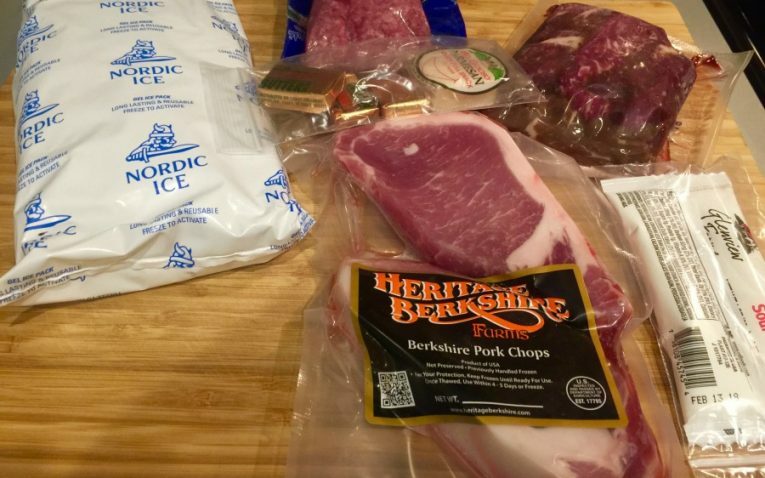 I almost thought they forgot to send me the meat for my recipes, but the meat actually comes in the large white plastic bag while a large ice pack to keep the meat cold. The meat was actually still partially frozen when I got it. All of your meals for the week are included in that one box. 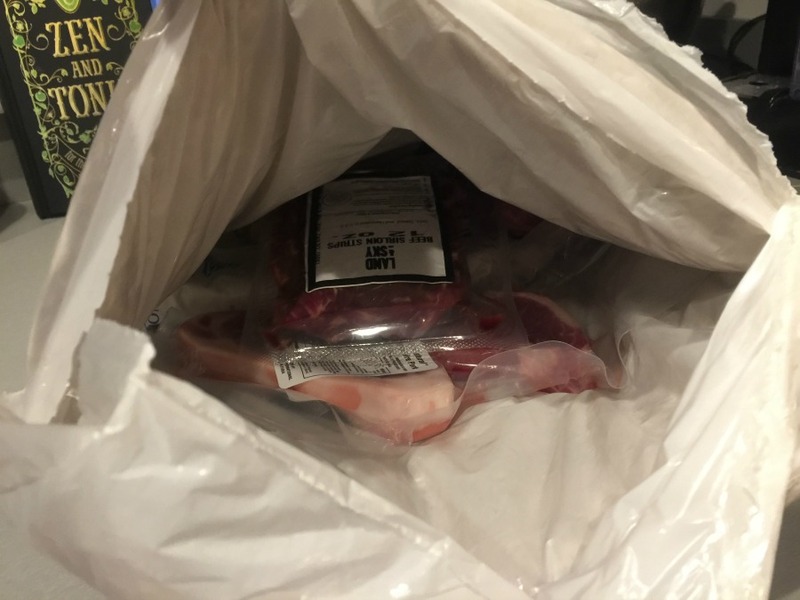 Meat is put in separate sealed bag. There is nothing bad about the shipping, per say. 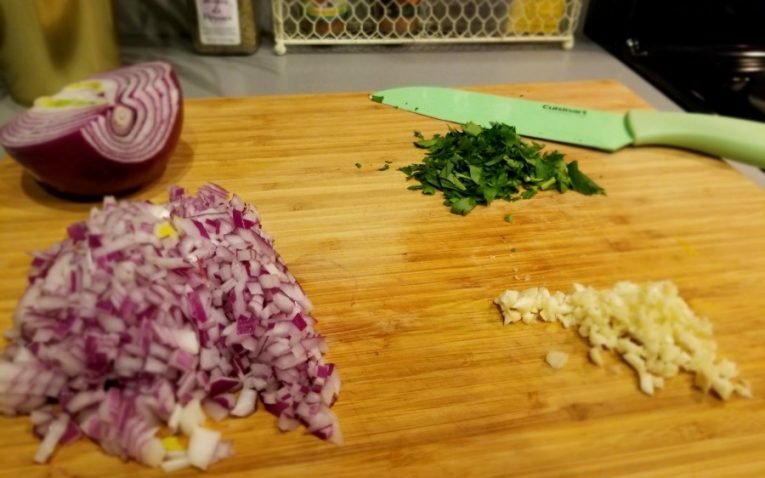 The only thing that could be improved upon is instead of placing the ingredients in a paper bag, they could use nicer boxes to separate the ingredients like some other meal kits do. Meals are delivered every week, if you choose not to skip any weeks during the month. Shipping is free, which is a really wonderful bonus, and they ship during the summer as well. They ship to all states within the US. When receiving my box, I had a bit of an issue with shipping. It was due to come on Wednesday by 8pm. They box never arrived, which was surprising. I tried to go to my orders on my profile on the website, but they didn’t provide any actual tracking information, so I had no idea where my box was and why it didn’t arrive. I had to contact customer service through their chat to see why my box never came. I found this to be a bit inconvenient and frustrating. I was eventually told that my box was damaged in transit and had to be returned to them because the box wouldn't have been kept refrigerated with the damage. 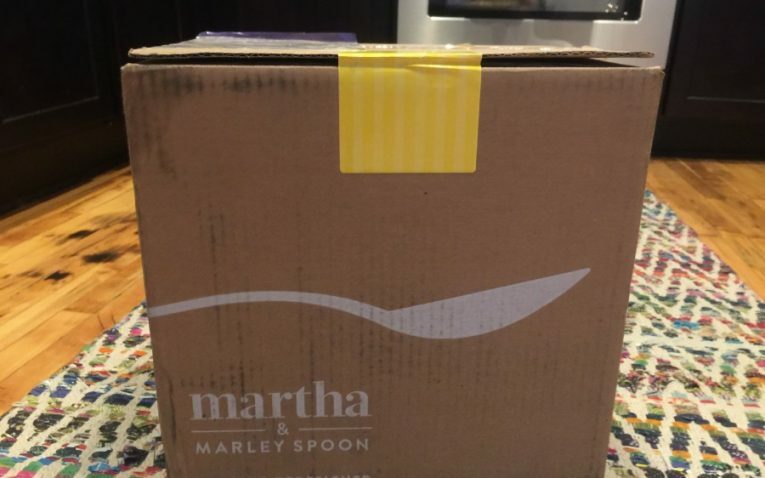 I wish I would have been contacted by the Martha & Marley Spoon team to let me know this had happened – as a customer, I should not have been the one to inquire about this issue. After a bit of back and forth, and having to contact a PR manager to get this rectified, they were able to send me a new box the following day with overnight shipping. Although this was great and they were very nice and helpful, I feel like I should have been offered a new overnighted box right away – that should be standard procedure. Martha & Marley Spoon does not have any gift options available at this time. The only way you are able to gift a Martha & Marley Spoon box is to offer your payment to the recipient when they go and make their account. 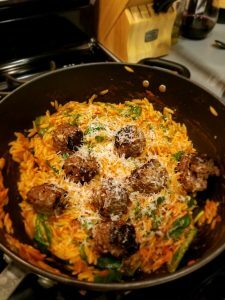 This could be challenging and a hassle for some people and those looking to gift a meal kit service will likely go somewhere else where they can purchase an actual gift certificate. Martha & Marley Spoon can be contacted by email, phone, and through the live chat feature on their website. Having all of those options is great, because different people like different ways of contacting a company. For the younger generation, having the live chat feature is easy to use and very convenient. It’s much faster and more efficient than email, but doesn’t require you to pick up your phone and actually talk with someone. They guarantee the ingredients in their boxes will be fresh and chilled in their boxes until they are delivered. All of their services and products are backed by a freshness and quality guarantee for a period of 4 days after your box is delivered. 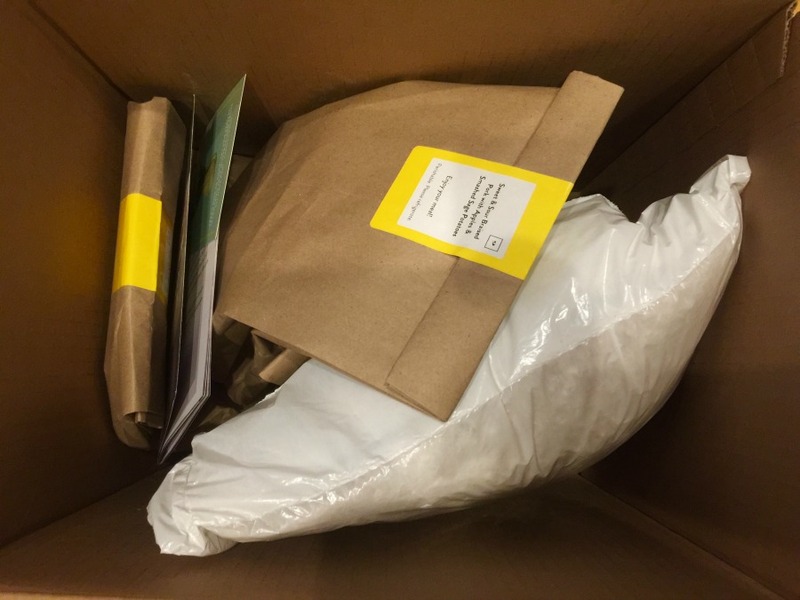 If you find an issue with one of the ingredients in your box, you have 7 days to contact customer service. Depending on what the circumstance are, they may grant you a full or partial refund of the purchase price of the meal or the ingredient in question. They also provide a credit to you account for future purchases. I have never seen anywhere on their website where they list their business hours. However, when I had the issue with shipping and contacted them through the live chat, they were still open at around 7:30 pm EST. For two people you can get 2 meals per week for $48 (3-4 people is 76), 3 meals per week it is $61 (3-4 people is $106.80), and 4 meals per week is $76 (3-4 people is $131.20). This is a great recipe for both kids and parents. 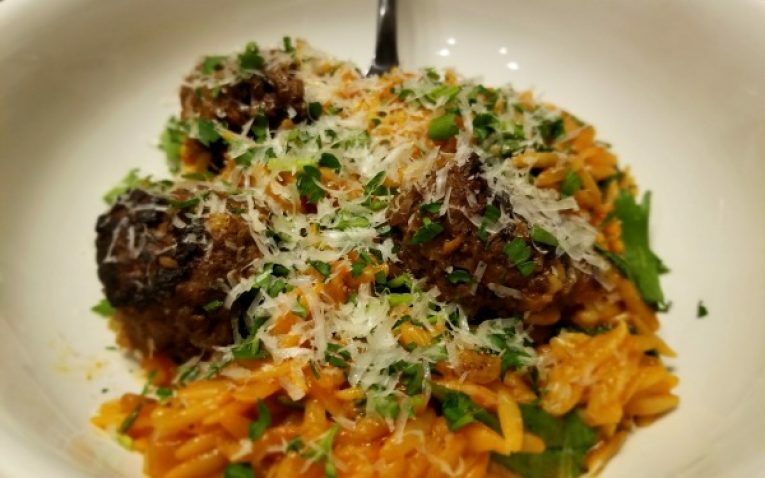 Who doesn’t love pasta and meatballs? 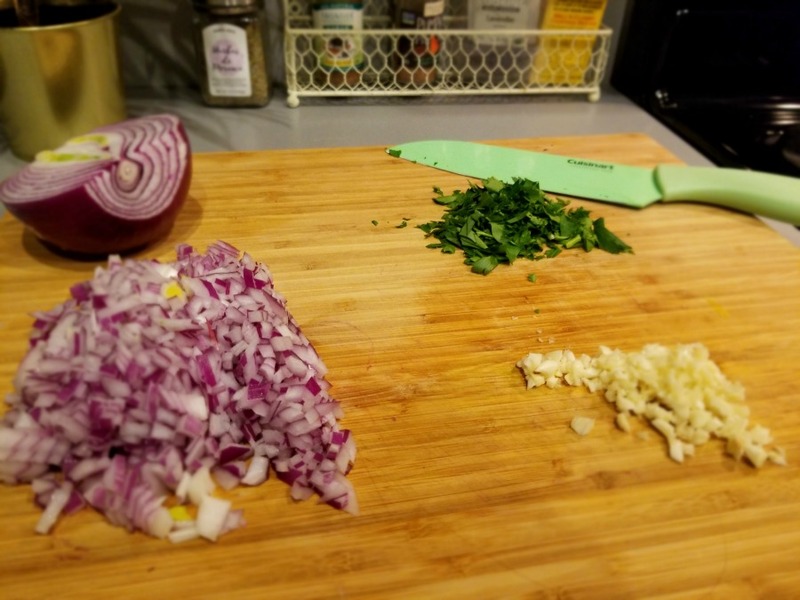 This recipe just requires chopping, sauteeing, measuring, and letting the stew simmer for the specified period of time. 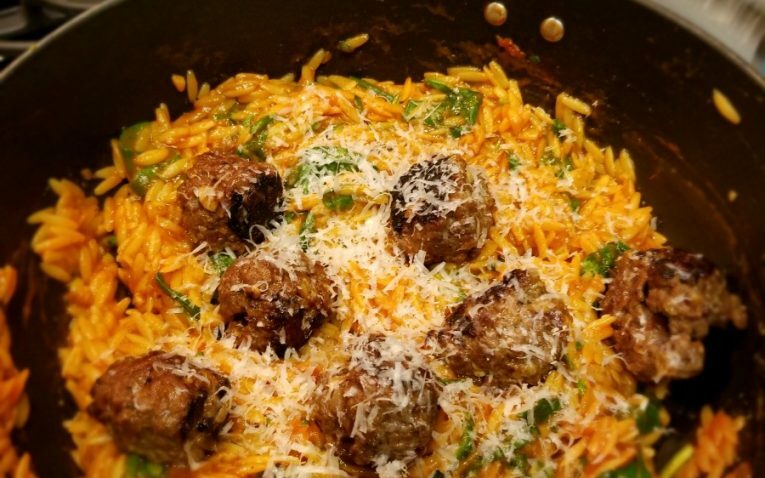 Kids can help with rolling the meatballs so they can get in the kitchen with you. It was a very simple recipe with no complicated steps. 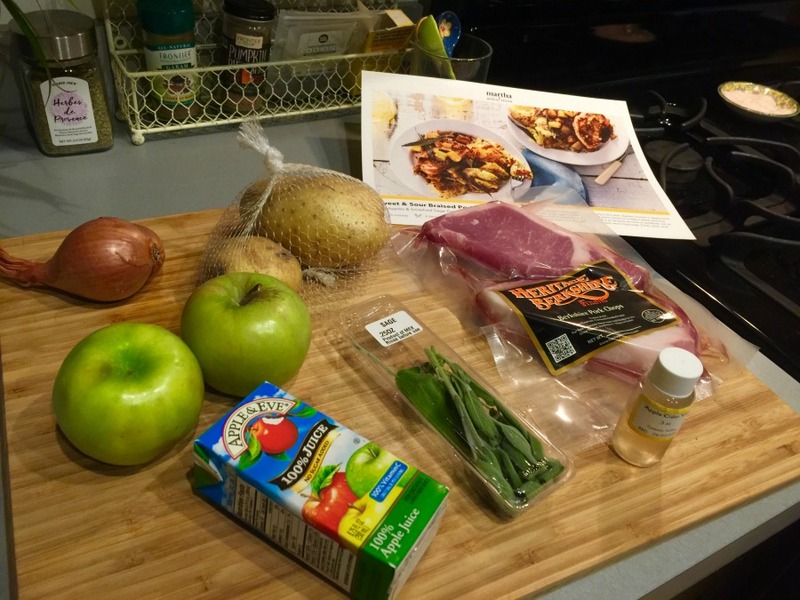 Sweet and Sour Braised Pork with Apples[/caption]This was another recipe that really just required chopping, cooking in the pan, and letting simmer for the amount of time they state. The only thing to be careful with and may take a small amount of cooking knowledge is cooking the pork chops properly. It said to use a meat thermometer to check the doneness, which I don’t have, so you may need to cut into a porkchop at the end to make sure it’s cooked through. There was nothing super complicated about this recipe, but it took a substantial amount of time for the stew sauce to thicken like a stew should. I actually had to wind up making a flour slurry to add to the stew because it was not thickening enough like it should. This required a bit of cooking knowledge to know how to thicken a stew/sauce when it isn’t coming together properly. This stew would have been much more like a thin soup if I had not added in the flour thickening mixture at the end. You also need to be careful with the spice level for this recipe. The relish that goes on top said to add half the pickled jalapenos to the relish, and that would have been extremely spicy if you know how spicy these little peppers are with their ribs and seeds. I only added about 3 pepper rings to the relish and it was very spicy. You needed to use some discretion with this particular recipe. 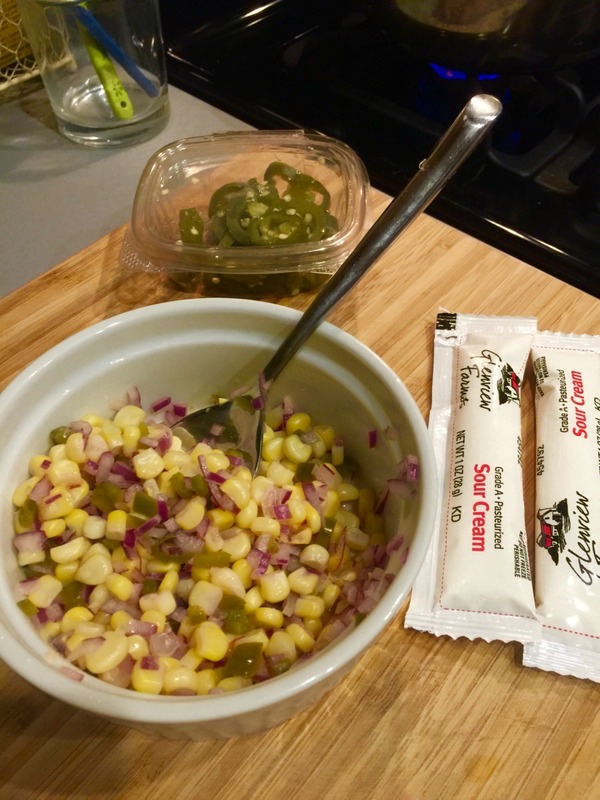 The portions with this box, compared to some other boxes, are quite large as well, making it good for families and people who like to eat larger portions for dinner. We were stuffed after we ate our meals from this kit. In fact, my boyfriend and I generally had leftovers for lunch for 1 person the next day. It is a lot of food and bigger portions that will generally satisfy most people. There meals are a bit higher in calories than I generally like to eat for dinner – if you eat the whole portion that is. If you are looking for super healthy and lighter dinner meals, this kit isn’t the best option for you. You can reduce the calories per meal though by leaving out or using a lot less of the oil and butter the recommend for each recipe, which I feel was quite a lot. I was able to use less than half the amount of oil they suggested or use cooking spray, which saved hundreds of calories per meal. Also, if you want a meal kit service that uses all organic and non-GMO sources ingredients, this box won’t have that for you. Special Perks or Access for Members? They use grass-fed beef, Berkshire pork, American caught seafood, some sustainable and organic ingredients, and and local produce from small farms. 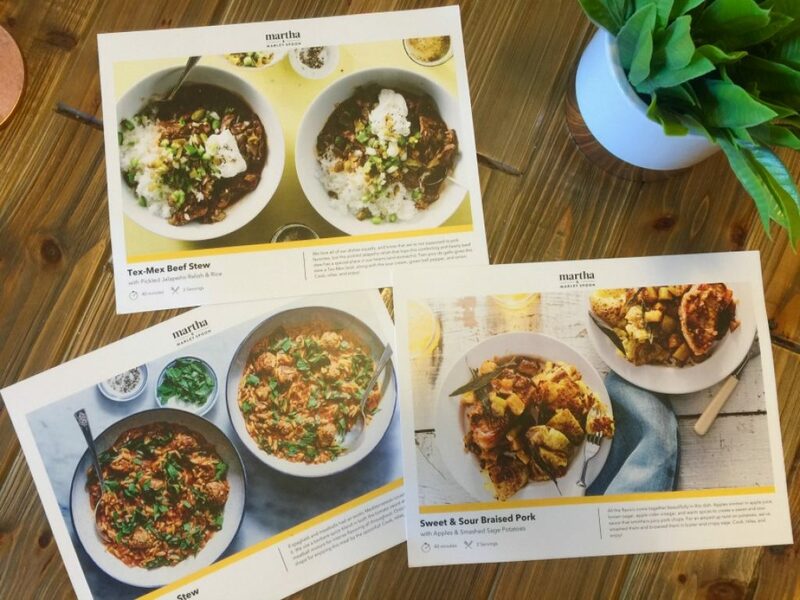 The large recipe cards are easy to read and follow. There is little room for mistake when cooking these meals. The picture instructions are particularly helpful for novice at home cooks. There is a good good selection of meals to choose from per week, plus 3 customer favorite meals you can get every week. I The ingredients were all fresh and arrived chilled. The herbs weren’t rotten or dried out and the produce was quite fresh. They make picking out your weekly meals, seeing what ingredients in each meal is, and placing your order for the week simple and easy. It is also nice they have some of the nutritional info on the meals so you know what you are eating. They also make skipping weeks and canceling your subscription very easy. You can skip any week you want as many times as you want. Furthermore, you are able to end your subscription with the click of a button, with no questions asked. No calling their customer service phone and having someone try to convince you to stay. As a little added bonus, they have a Cookiebox with the recipes and ingredients for cookies and brownies specially created for the holiday season. You can get it shipped to your house – to gift or keep for yourself. Each recipe comes individually wrapped with all the necessary ingredients and you can choose to have them gift wrapped with festive twine and bows. Choose from peppermint brownies, chocolate gingerbread cookies, noel nut balls, and browned butter shortbread cookies with cardamom. They also have a Thanksgiving box. It basically works like their meal kits where they send you all the ingredients you need in all the right portions to make your Thanksgiving meal. You will get a delicious farm fresh turkey with brown sugar glaze, gravy, herbed stuffing with dried cherries, mashed potatoes, roasted root veggies with browned butter, sage, and almonds, green beans with shallots, and lemons, and a spiced apple oat crisp for dessert. I would like to see them use more organic and non-GMO ingredients. It’s important to consume as little pesticide, herbicides, and chemicals as possible. At the very least, the Dirty Dozen fruits and veggies should all be organically sourced in the box. I would have liked to see more vegetarian, dairy-free, and gluten-free options. There are some, but not much. They also has no vegan, Paleo, Whole30, Mediterranean, lean/clean, or pescitarian options. These would be nice options to have for cater to more people or to help people try new diets. All of their meal are pretty high in calories and suggest using quite a lot of oil and butter. It would be nice for them to provide tips for users on how to reduce some of the calories in their recipes. There is no way to track your order unless you ask for a tracking number from customer service, which is a bit of a hassle. If your box is damaged in transit, they don’t notify you right away your box won’t be delivered that day, which could be a big issue for some people if they are counting on cooking those meals that night and the next few days. It also doesn’t seem as though the automatically send out a replacement box the following day and overnight it. I had to go through 2 people in order to get my box overnighted the next day. They should automatically do this for people whose boxes are damaged by the mail carrier. The don’t provide price breakdown for price per meal. 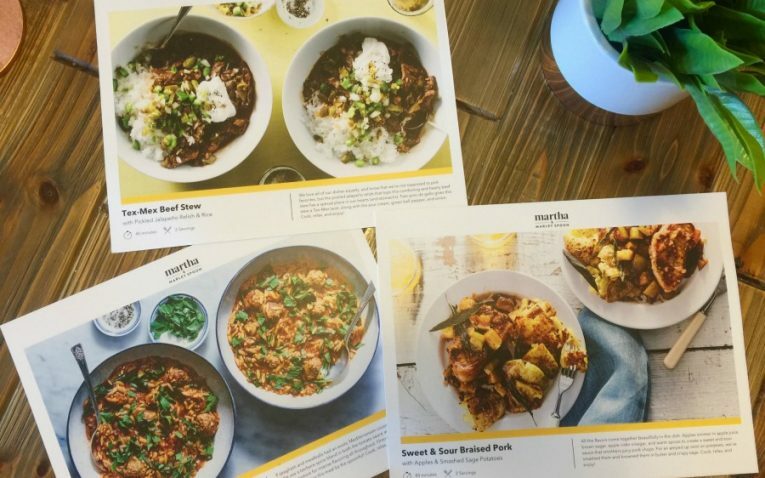 Overall, Martha & Marley Spoon is a a great meal kit delivery option for those who like large portion dinners, like simple recipes and ingredients, but with a slight unique twist, and are meat eaters. Furthermore, there recipes are higher in calorie, so it is not fully geared towards the health conscious eater. 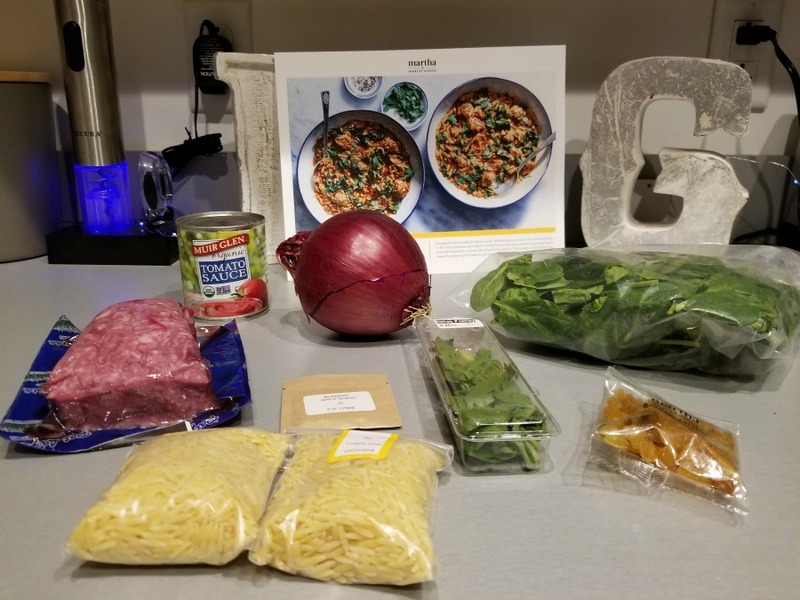 We feel it is a really great meal kit for families because the recipes are really family and kid-friendly and stick to kid-approved ingredients for the most part. 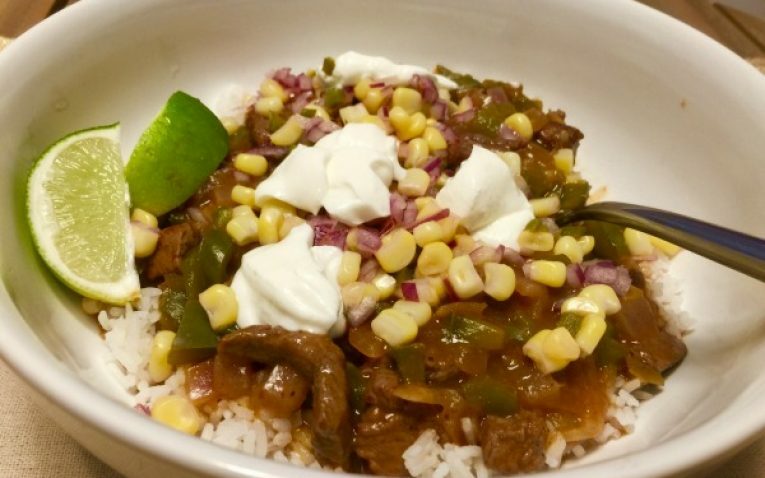 Just make sure you check the spice level for each meal, because some meals can be quite spicy like the Tex-Mex beef stew with pickled jalapeno relish and rice…I learned that the hard way as I am not a big spicy food lover. They have an easy order system, fast and free shipping, and great cancellation policy. Although they can improve on customer service, handling damaged boxes in transit, and offering more vegan, paleo, and special dit options, they make some delicious food that everyone will love. The Perfect Meal Kit for familes, created by Martha Stewart with kid-friendly recipes. Martha and Marley Spoon was created by Martha Stewart to help busy families create delicious and nutritious homemade meals with ease. 10 family-friendly meals to choose from each week. Some healthier dishes are available. Sustainable ingredients, grass-fed beef, and some organic ingredients are used in boxes. Easy to read and use recipe cards. Easy to order and pick meals. Meals tend to be high calorie. No shipping or tracking information is provided. Live chat isn’t always answered. Kayla is a work-from-home freelance writer and owner of an organic non-GMO personal grocery shopper business in Akron, OH. She is passionate about healthy living and helping others find high quality foods and beverages from great companies, everyday. She is also a contributing writer and reviewer for Revuzzle who loves any chance to review and write about food. In her free time, she loves to walk and hike, play with her very fluffy Samoyed, Echo, and travel as much as possible. Her favorite place to be is in the mountains and the rolling green hills of New Zealand where she lived for 6 months in college. 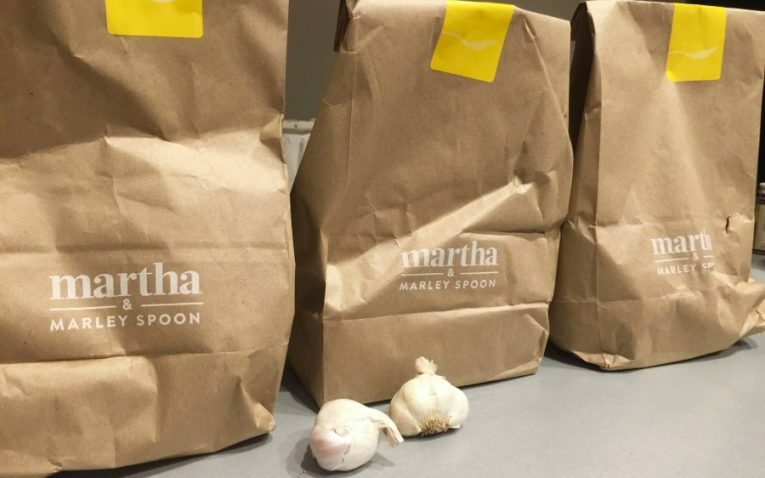 A Meal Kit Delivery Service created by Martha Stewart! 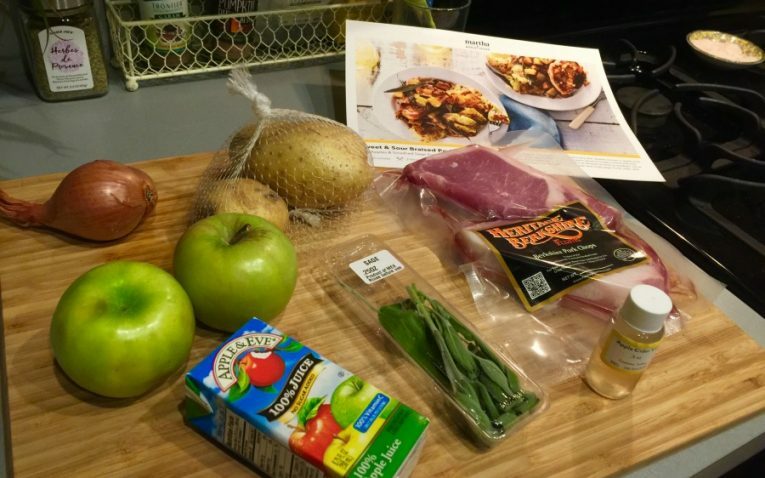 Sun Basket vs. Terra’s Kitchen: Which is the Better Meal Kit Delivery Service?